I. Preliminary Remarks on the so-called Google Saga: Between Digital Divide and Digital Protectionism. Much has been published on the matter (see for example, Manzini, Nazzini, van Loon, Akman, Surblyte, among the works freely available; see also Renda, Visco Comandini, Falce) and much more will be written when the non-confidential version of the infringement decision will be published by the Commission. However, the investigation procedure has drawn much attention, not just from scholars, but also from the general public and media and has also caught the interest of the EU Parliament. As in many other competition cases, the interest of the general public and media mainly arose due to the popularity of the undertaking involved in the investigation. The allure of the case probably increased thanks to the rumours on the potential amount of the fine that could be imposed on Google in the light of its massive overall turnover, according to the guidelines. Within this perspective, expectations have not been disappointed: the Commission ended up imposing the largest fine – amounting to Euro 2.42 billion – ever applied to a single undertaking, doubling the former record belonging to Daimler and Intel (for data concerning cartels, see here). The reference to the Intel case allows a last preliminary remark. Among other fundamental issues, the extraterritorial reach of EU competition law was at stake there. According to the Commission, by applying exclusivity rebates and so-called naked restrictions to its main trading partners (computer manufacturers and retailers), Intel aimed at foreclosing its only significant competitor from the market for microprocessors. The issue of extraterritoriality arose because naked restrictions could hardly be considered as “implemented” within the EU: Intel (a US-based company) was paying other foreign companies to limit the sale within the EU of computers incorporating microprocessors built by its competitor. It was doubtful that the “implementation theory” established in the famous Wood Pulp case (and applied for over twenty-five years to regulate the extraterritorial reach of EU competition law) could cover such foreign negative conduct. The General Court endorsed, for the first time, the “effects theory” as a viable alternative to the “implementation theory” and upheld the Commission decision. Within this perspective, the link between the Intel and the Google case begins to emerge. Although extraterritorial enforcement of competition laws «can appear to be a dry debate about “jurisdiction” and “international law” [i]t is in reality about politics, about who can make and enforce rules governing competitive enterprises» (Baker et al., Anti-trust Imperialism, in ECLR, 1993, p. 3). Indeed, the Google case deserves attention also because it may be seen as part of the wider set of actions that in the last few years have been taken against US tech corporations both at the EU and Member States levels. It is well known that conducts of US tech corporations have been recently challenged, inter alia, under EU and national tax, labour, copyright, data protection, privacy and, at last, competition rules. The pending revision of the AVMSD Directive is another example, requiring on-demand players to promote European works by imposing, inter alia, a minimum quota of EU contents to be included in their catalogues. Such activism reflects EU and Member States apprehension for the lack of European leading players in the worldwide digital economy. It is no secret that the digital economy’s success in creating jobs and wealth in the US is somehow “envied” in Europe, where the EU and the Member States have not yet been able to create a regulatory environment capable to help European successful tech entrepreneurs and to promote the development of a “European Silicon Valley”. Attention usually focuses on online platforms, which play a central role in today’s digital economy. The development of EU-based platforms is indeed seen as a crucial pillar for the construction of the envisaged Digital Single Market. However, online platforms give rise to wider concerns: it is not only an issue of missed opportunities in the digital economy, but also of potential threats to the EU industry as a whole. Indeed, by acting as intermediaries in both B2B and B2C relations, platforms are the gatekeepers of the digital market and enjoy a significant power, being able to lock-out other companies from such market. The absence of EU platforms and the consequent need to rely on foreign providers of digital services are generally perceived as factors that may harm the competitiveness of EU industry across all sectors. Many have observed that just before Google was going to receive the SO from the Commission, Commissioner Oettinger blatantly stated that «[i]ndustry in Europe should take the lead and become a major contributor to the next generation of digital platforms that will replace today’s Web search engines, operating system and social networks». Needless to say, this sort of reactions toward what appears to be seen as a new type of US “digital imperialism” has fostered not only a legal but also a heated political debate. After all, protectionism – even digital – is unlikely to pass unnoticed within today’s globalized marketplace. No less than former US President Obama expressed the view that, although formally based on embraceable principles, EU measures targeting US tech corporations, are «more commercially driven than anything else», since EU «service providers who, you know, can’t compete with ours — are essentially trying to set up some roadblocks for our companies to operate effectively there». Interestingly enough, former US President Obama added that «[w]e have owned the Internet. Our companies have created it, expanded it, perfected it in ways that they can’t compete. And oftentimes what is portrayed as high-minded positions on issues sometimes is just designed to carve out some of their commercial interests». The political background increases the interest for the Google saga, which seems to be the peak of the iceberg in a much broader context. Clearly, there is no room here to deal with such interesting aspects. Yet, a brief comment on the whole picture seems opportune, before turning back to the antirust profiles of the case. Firstly, the legitimacy of such measures could be questioned. To foster the development of a globally connected world and achieve the related benefits for business and consumers, States – including EU Member States – should probably stand up against «creepy digital protectionism», rather than trying to follow that path. After all, a digitalized world knows no borders to protect. Secondly, the feasibility of protectionist measures in the digital world is likely to be rather limited at best. To be sure, protectionist (just as prohibitionist) measures are generally quite unsuccessful, not only when it comes to new markets and online services. Market forces usually find a way to satisfy consumers’ wishes, despite the will of regulators. The latter may achieve their aims only through intense enforcement of the measures at stake. Within the online world, enforcement, let alone an intense one, is virtually impossible. Market forces are likely to find solutions to bypass limits and prohibitions and meet the consumers’ desires, especially if such desires are driven by technological innovation. The (failing) attempt to ban Uber pursued by many regulators around the world is a good example. Thirdly, since efforts to bridge the digital deficit of Member States by reining US corporations are not likely to succeed (besides showing a certain lack of confidence in the European industry), EU and national regulators should probably focus on other and more suitable initiatives to fill the gap and foster the development of the Digital Single Market. Specific measures seeking to expand ICT infrastructures within Member States, facilitate innovation and enlarge the dissemination of technology solutions may appear more adequate to help EU-based tech entrepreneurs to take the lead and create growth, jobs and wealth. Not to mention general measures aiming at reducing tax and bureaucracy burdens for EU-based undertakings and start-ups. After all, the digital world is arguably the realm of so-called “garage-to-riches” stories. Competitors with new (and good) ideas often emerge rapidly and displace the incumbents. Lastly, and thus going back to the Google decision, the accusations that the EU is unfairly targeting US tech companies and, therefore, the “geopolitical implications” of the case shall not be overrated (nor are they one-directional). Suffice it to recall that virtually all the complaints against Google received by the EU Commission were sent by other leading US based undertakings, such as TripAdvisor, Yelp Microsoft, Oracle, etc. (see here and here). Those tech giants brought claims against Google also before the US antitrust authorities, but the Federal Trade Commission (the “FCT”), exercising its discretional power, decided not to act. The members of the FCT took this decision despite the report concluding the investigation and prepared by FCT’s own legal staff recommended to bring a lawsuit against Google. To be malicious, one could assert that “protectionist” measures are actually taken, in the first instance, by US authorities themselves, which prefer not to interfere with their digital champions’ activities. More pragmatically, there is nothing new or odd in the fact that cross-border anti-competitive conducts are treated differently in different jurisdictions. Indeed, it is obvious that «review by different antitrust authorities of anticompetitive conduct can lead to undesirable outcomes, such as divergent results» (Geradin et al.). In the past, US and EU antitrust authorities have given dramatically different assessments of the same operation (and especially of international mergers), mainly because US and EU competition rules and policies are inspired by diverging principles and pursue different goals. While trying to bridge the digital divide, the Google case is confirming (and, maybe, even widening) the antirust one between the two sides of the Atlantic. II. Much Ado About Nothing? : Discrimination as a Violation of Article 102 TFEU in Vertically Integrated industries. According to the press release, the factsheet and the statement of objections, the theory of harm seems to be based on the discrimination carried out by Google between its own comparison shopping service and its competitors. If a user types the name of a product in the Google query bar, the algorithm is designed to show, as the first results of this general search, the offers concerning such product contained in Google shopping, i.e. the offers that are posted by the producers and/or the sellers through (and advertised in) such Google’s platform. By contrast, offers concerning the very same product searched by the user that are posted by the producers and/or the sellers through (and advertised in) other comparison shopping services are demoted by the algorithm on the basis of a set of criteria, which are not applicable to Google shopping. According to Commission’s tests, offers posted in comparison shopping services other than Google shopping appear, on average, only on page four of Google’s search results. Consumers hardly go on Google second page and focus their attention (and clicks) on the very first results which come up from the query. It follows that the algorithm designed by Google for general searches allows Google shopping to offer more visibility to producers and/or sellers who decide to advertise their products on the platform, while competitors are much less visible. As a result, according to the Commission, Google has abused its dominant position on the market for online search engines by favouring its own vertical search engine. Some of the first blog commentators (for example see here and here) argue that the case is wholly unprecedented. Firstly, they hold that the theory of harm proposed by the Commission is new and unclear because the decision seems to be based on the principle that a dominant firm is not entitled to discriminate in favour of its own services. Secondly, they suggest that, at the very best, such discrimination could be considered illegal under Article 102 TFEU only if it led to foreclosure effects and damage consumers. To be sure, none of these conclusions seems fully convincing. 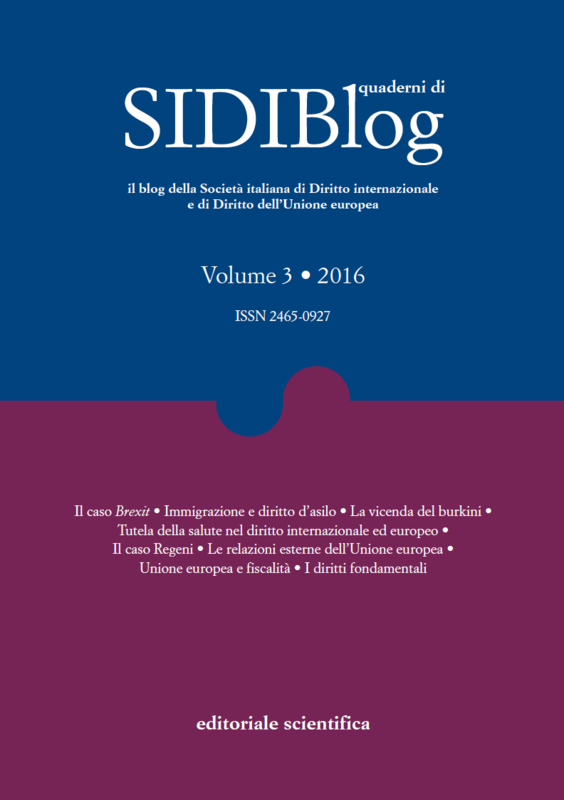 Firstly, the duty of dominant undertakings not to discriminate is enshrined in the very wording of Article 102(2)(c) TFEU, according to which it is abusive to apply «dissimilar conditions to equivalent transactions with other trading parties, thereby placing them at a competitive disadvantage». Secondly, at least on the basis of the available information, the Google case does not seem to be based on principles much different than those applied in “ordinary” cases concerning vertically integrated undertakings. According to the Commission, what Google cannot do is applying different conditions (i.e., those criteria demoting comparison shopping services that compete with Google Shopping and that Google’s algorithm is designed to apply only to the former) on the upstream market for online search engines in order to promote its own platform and demote competitors on the downstream market of comparison shopping services (on Google – alleged – leveraging of market power cf. Edelman). Apparently, it is not even necessary to drag in into the discussion the question of the applicability of the essential facilities doctrine to search engines (and dominant online platforms – but see Temple Lang). Thirdly, the ECJ has repeatedly confirmed that the prohibition of creating inequalities of opportunities between economic operators is a fundamental principle of EU competition law and policy, so much that even Member States cannot derogate it, essentially because inequalities of opportunities are liable to affect the structure of the market (see the DEI case). Reference to the aim of preserving the structure of the market permits to proceed with a very brief and last remark with regard to the need of the Commission to prove foreclosure effects in order to apply Article 102 TFEU. The ECJ has repeatedly affirmed that EU competition law is based on the so-called formalistic approach to antitrust rules, rather than on the welfarist one (or so-called “more economic” approach). One of the corollaries of the formalistic approach to competition law is that it exists not only to protect consumers, but also (although not mainly) competitors. Another corollary is a favour for per se prohibitions (or restrictions by object) over the application of the rule of reason while interpreting competition rules. Where the “more economic approach” prevails (e.g., in the US), there are virtually no per se rules outside the area of cartels, so that antitrust enforcers shall prove the anticompetitive effects of the conducts – other than price fixing agreements – they intend to challenge. By contrast, where the formalistic approach prevails, the distinction between restrictions by object and restrictions by effect is blurred in favour of the former category and the anticompetitive effects of many more conducts are presumed (e.g. information exchange, some vertical agreements), as long as such conducts match the wording of antitrust provisions. In other words, conducts that abstractly fall within the scope of application of antitrust rules are prohibited without the need to show that they determine specific anticompetitive effects or harm consumers on a case-by-case basis. The General Court has recently confirmed the validity of the formalistic approach also with regard to the treatment of exclusivity rebates, a topic which has always been one of the most controversial issues in competition law. On this occasion the Court held that exclusivity rebates, «when granted by an undertaking in a dominant position are, by their very nature, capable of restricting competition and foreclosing competitors». It follows that «the Commission [is] not required to make an assessment of the circumstances of the case in order to show that rebates actually or potentially had the effect of foreclosing competitors from the market». In any case, the Court concluded that foreclosure effects occur «not only where access to the market is made impossible for competitors», but also if the access is simply «made more difficult» (see again the Intel case, but cf. also AG Wahl’s opinion as well as the Post Danmark case). Despite the fact that the press release and the factsheet actually contain some brief points suggesting the potential foreclosure effects of Google (alleged) abuse on Google shopping’s competitors, it is far from certain that the argument concerning the lack of proof of such effects could convince the GC and the ECJ to revert the decision, should it be challenged pursuant to Article 263(4) TFEU. Supporters of the more economic approach (developed and followed in the US) would advise differently (see Bork et al.). As said, the EU and the US sensibly differ in their perspectives about the aims of competition law and policy and the need to prove harm to consumer welfare (rather than to the structure of the market) is one of the main aspects of the existing divergence. It is in this vein that the Google case can be read as confirming and even widening the “antirust divide” between the two sides of the Atlantic. The persistence of different views even in the two oldest and leadings antitrust jurisdictions may prove to be problematic, considering that competition problems are nowadays ‘global’ as undertakings compete in international digital markets without borders and where «decisions reached in one corner of the world can reverberate around the globe in less time than it takes to tell the tale» (to quote a fairly old but well-known US judgment on antitrust extraterritoriality). Trying to spot potential weaknesses of the decision (as emerging from the press release and the factsheet), one should rather focus on the (apparent) definition of the product relevant market. As said, the case does not concern (only) the upstream market for general online search engines (where it would be hard to contest Google’s dominance), but mainly the downstream market of comparison shopping services. Such services are basically online platforms used by consumers to aggregate and compare specific products in order to shop online. The Commission concluded that comparison platforms represent a relevant market. At a glance, the conclusion may not seem fully convincing. Many other systems to compare products’ characteristics and prices and shop online exist. Consumers not only (and, today, probably not even mainly) buy online by means of comparison shopping services. It will be interesting to see how the Commission has justified the exclusion from the relevant market, for example, of merchant platforms and vertical search engines (such as Amazon, eBay, etc.) that are widely used by consumers … precisely to select products, compare prices and buy online. If this were not the case, Google’s dominance on the downstream market of vertical search engine might become more questionable (on Amazon’s dominance facets see for example Kahn). III. The Paradox of (the All-Time Highest) Sanction Imposed Following the Failure of the “Commitment Route”. The beginning of the procedure dates back to 2010 and the Commission has fiercely and for a long time tried to follow the “commitment route” pursuant to Article 9 reg. (EC) No 1/2003, rather than the regular path leading to the issuance of a prohibition decision. Despite intense negotiations on a series of commitments made by Google and mutual concessions between the parties, Google and the Commission could not agree on a set of remedies that, at the same time, was acceptable for the investigated undertaking and able to solve the anticompetitive concerns of the Commission. Third parties’ opinions gathered during the market test phase played a significant role. As prescribed by § 133 of the Notice on best practices for the conduct of proceedings concerning Articles 101 and 102 TFEU, the Commission closed commitment negotiations and reverted to the standard procedure pursuant to Article 7 reg. (EC) No 1/2003. It is easy to understand why the Commission would have preferred to issue an Article 9 reg. (EC) No 1/2003 decision. On the one hand, the Commission could have intervened quickly, thus improving the effectiveness of its action. The commitment procedure entails significant efficiency gains, reducing the duration of the administrative procedure through procedural efficiencies. The Commission could be spared preparing hundreds of pages of complex competition analysis on aspects such as the relevant market or the degree of dominance. Not to mention the development of a convincing theory of harm. This is a sensitive issue when dealing with highly dynamic markets, such as those of general search engines and/or comparison shopping services. On the other hand, the matter (i.e., how search engines work and shall work) was – and still is – quite new and no precedent could be found in the Commission’s practice, let alone in the ECJ’s case law. A commitment decision would have permitted the Commission to “shield” its decision from judicial review. Google would have no interest to seek the annulment of a decision it has agreed upon and that ascertained no antitrust offences. No antitrust liability means also no public fine attached to the decision and essentially no follow-on private actions (cf. Wills; Pera e al.). Avoiding judicial review in cases based on new or much debated theories of harm is clearly not optimal for the sound development of EU competition law, but the enforcement system of Articles 101 and 102 TFEU currently works like that (cf. Svetiev; Marsden, Schweitzer; Mariniello). Commitment decisions have been adopted in cases where the law was not well-settled, such as with regard to fidelity rebates (see Coca cola) and even strategic underinvestment and network foreclosure (see Eni, RWE, Gaz de France and Swedish Interconnectors). Intuitively, efficiencies are irremediably lost when the streamlined commitment procedure is abandoned and followed by a standard procedure. But such scenario is even worse than the standard one when the Commission immediately pursues the case ex Article 7 reg. (EC) No 1/2003. Firstly, more administrative resources are spent to deal with a single case (initially, to negotiate the commitment, and then to issue a prohibition decision), which in turn means that less antitrust infringements can be detected and dealt with, since DG Comp’s budget and resources are not unlimited. Secondly, the issue of fines arises: according to recital 14 of reg. (EC) No 1/2003, «[c]ommitment decisions are not appropriate in cases where the Commission intends to impose a fine». Indeed, the Commission not always complies with such limit. Commitment procedures have been used when the conducts under scrutiny, if proved, would have amounted to serious infringements of Article 102 TFEU (e.g. like in the Microsoft and IBM cases) and even of Article 101 TFEU (for example, in the E-books and the Container shipping cases, when the Commission accepted commitments, respectively, covering a so-called hub & spoke cartel and exchange of information and price transparency, the latter being a conduct usually considered as a violation by object of Article 101 TFEU, as confirmed by the ECJ in the Dole case). In these cases, if the procedure is concluded with a commitment decision, the deterrent effect of the enforcement system of competition law decreases (cf. Tar Lazio No 6173/2011; see also Gautier et al.). Different economic theories exist but, in a nutshell, deterrence is ensured only if the expected costs of an illicit act are higher than its expected benefits for the potential perpetrator. Being rooted in the assumption that individuals are rational, self-interested decision makers, the deterrence theory does not apply only to antitrust violations; however, it is particularly effective in this sector, since antitrust violations are usually calculated business decisions (Wils). A generalized use of commitments by the Commission may lead undertakings to conclude that the infringement of Articles 101 and 102 TFEU entails no sanctions but only “negotiated consequences”. Antitrust offences may therefore represent the rational choice to make, since expected profits are higher than the expected costs if caught. However, if the Commission reverts to the standard procedure, a paradox occurs: the failure to elaborate acceptable commitments cannot be considered as leading to an implicit immunity from fines for the negotiating undertaking. However, when the Commission agrees to negotiate with the aim of reaching a commitment decision, it implicitly indicates that it does not intend to impose fines. Otherwise, the Commission would have begun the procedure deliberately breaching recital 14 of reg. (EC) No 1/2003. In case the commitment route is abandoned, the general principle of the protection of legitimate expectations calls into question the Commission’s freedom to impose a monetary sanction pursuant to Article 23 in addition to the cease and desist order issued pursuant to Article 7 reg. (EC) No 1/2003. It is even more questionable whether the Commission is free to impose the largest fine – amounting to Euro 2.42 billion – ever applied to a single undertaking, doubling the former record. Indeed, in those previous cases in which a failure of the commitment procedure occurred, the Commission did not impose any sanction on the undertakings involved. For example, in the “bundled” decisions issued in Samsung/Motorola and MasterCard/Visa, the Commission decided not to impose a fine on Motorola and MasterCard, not only in view of the fact that there was no case law dealing with the legality under Article 102 TFEU of the conducts at stake, but quite likely also because, at the same time, it accepted commitments offered by Samsung and Visa covering very similar business practices (on the joint use of Articles 7 and 9 reg. (EC) No 1/2003 see Whish). The Google case therefore highlights and confirms the importance and the sensitivity of the initial selection by the Commission of those cases to be investigated pursuant to Article 9 reg. (EC) No 1/2003. Also within this perspective, if commitments become the standard remedy applied by the Commission, the sound development of the enforcement system of EU competition law may be jeopardized. IV. Data as the new currency of the digital economy. Lastly, it is worth noting that, even in the press release, the Commission felt the need to write that «Google’s flagship product is the Google search engine, which provides search results to consumers, who pay for the service with their data». Such assertion is not necessary for the decision, since the case does not deal with personal data or big data. Yet, this reference does not come as a surprise. Commissioner Vestager has often referred to data as the «new currency» of digital economy. In a world of big data, personal information and digital footprints are increasingly seen as the price paid by consumers in exchange for allegedly free services. Awareness of the economic value of data is also one the reasons for the interplay of antitrust and data protection rules in the field of big data (see also Colangelo et al., Costa-Cabral et al., Pasquale, Geradin et al. ; indeed, big data and data analytics have become a hot topic for antitrust authorities and scholars (see Pitruzzella, Maggiolino, Bellomo, Colangelo, Graef, Ezrachi, D. Sokol et al., M. Davilla, not to mention the comprehensive book Virtual Competition written by Ezrachi and Stucke). The argument that data are the new currency is somehow fascinating. Considering data as the price paid by consumers may reinforce the idea that the solution to many of the challenges brought by big data and data analytics may not lie in prohibiting or limiting the collection and analysis of big data. Rather, once one realizes that data are a consumers’ asset used as a “fuel” to generate value, the aim may be considered that of giving consumers «a fair share of that value». However, this view brings its own challenges. If data are considered the price paid by consumers, other consequences will follow from the antitrust perspective. For example, industry-wide standards on privacy terms (i.e., agreement on the amount of data to be disclosed by consumers to use a given service) may be considered as a per se violation of Article 101 TFEU, representing horizontal agreements concerning the “price” of the service (despite Commissioner Vestager herself has reported to be «glad that companies are working together to standardise privacy protection on the Internet»). Similarly, common standards on privacy terms prescribed by national legislations may trigger the joint application of Articles 101 and 106 TFEU. State aid rules may become relevant too, although it may be difficult to prove that data are state resources under Article 107 TFEU. The Google case is promising a rich debate on several paramount issues of EU antitrust law. Firstly, the decision seems to confirm the fundamental role entrusted to the principle of non-discrimination and to the duty of fair treatment when assessing the so-called “special responsibility” of dominant undertakings under Article 102 TFEU. Secondly, the procedure and the decision highlight the negative consequences occurring when the commitment procedure fails, from the loss of procedural efficiencies to the paradox of fines, thus confirming the sensitivity of the initial selection of potential “committing cases” by the Commission. Thirdly, the Commission has for the first time officially qualified data as the new currency, a mantra on which future cases dealing with “hot topics” such as online platforms or big data are likely to be based upon. The Commission has just set this mechanism in motion and much more is now to be expected. While the record fine may catch the attention at first, no doubt the most important aspects of the decision concern the changes that Google will have to make to comply with the equal treatment principle. As correctly observed, the fact that Google shall now treat its own comparison shopping service and those of rivals in the same way will make it easier for Google competitors to gain shares of user data and ad revenue. More importantly, competitors will be able to use the principle of non-discrimination enshrined in the decision against other tech giants too, which are likely to be other US companies, considering the lack of European leading digital platforms. While the “geopolitical implications” of the Google case should probably not be overrated (since many complainants were other US tech companies and different antitrust assessments of the same operation by EU and US authorities often occur, mainly because US and EU competition rules and policies are inspired by diverging principles and pursue different goals), it cannot be denied that the Google decision and saga are part of the wider set of actions that in the last few years have been taken towards US tech corporations both at the EU and Member States levels. Such activism has fostered an intense legal and political debate. EU measures have been considered a sort of regulatory barrier built to contain US “digital imperialism”. These measures seem questionable not only from the perspective of their legitimacy but also from the viewpoint of their feasibility and suitability with regard to the goals of bridging the digital divide and fostering the development of the Digital Single Market. Besides the merits of the Google case, one should consider that strengthening the “special responsibility” of dominant undertakings may not be the best policy to foster the development of the EU digital economy and help European prospective tech entrepreneurs. Indeed, it is generally accepted that highly dynamic markets are based on so-called winner-take-all models and that market concentration and disruption are inherent to the digital economy. After all, the digital world is arguably the realm of start-ups and so-called “garage-to-riches” stories. Being aware that once they (rapidly) become dominant (i.e., when they win on the merits against competitors) they will be bound by a “special obligation” not to be too harsh towards their competitors, may convince in the first place prospective digital champions to … go trying be successful somewhere else, and particularly in other markets and jurisdictions that are more flexible and do not impose such restraints on successful undertakings.